Narcissa Niblack was born in Indiana in 1882. As a young woman, she traveled extensively with her family in both the U.S. and Europe, collecting pieces of miniature furniture as she went. As an adult, she lived in Chicago with her husband James Ward Thorne but continued to travel and collect miniature items. In 1930, her collection was too extensive to be contained in her home, so she rented a studio to house it. 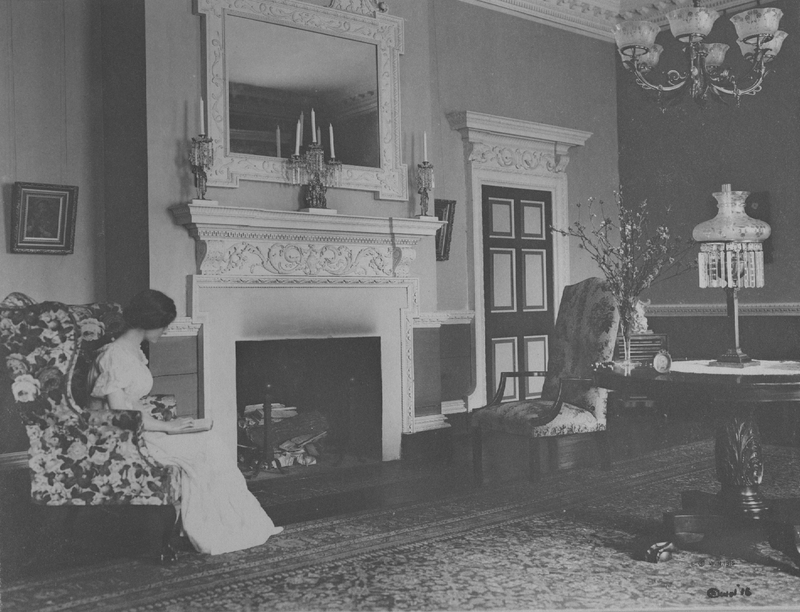 The studio also served as the workspace for hew new project: Mrs. Thorne had decided that her miniature furniture needed miniature rooms in which to be displayed. No one is exactly sure when or why Mrs. Thorne decided to design miniature period rooms (she may have been inspired by a shadow box she saw in an Istanbul bazaar), but she was definitely influenced by the period room craze sweeping museums in the 1920s. The theory behind period rooms was that they allowed furniture to be seen in the appropriate context, providing a richer interpretation than could be provided by just the furniture pieces themselves. Mrs. Thorne designed the miniature period rooms and supervised the work of the three dozen people who created the architectural drawings, the rooms themselves, and the pieces needed to supplement the miniature items she already owned. The first 30 rooms were exhibited in Chicago in 1932; their immense popularity inspired Mrs. Thorne to embark on an expansion of the project, the creation of another set of rooms that would show the chronology of European design on a one inch to one foot scale. According to the book Miniature Rooms: The Thorne Rooms at The Art Institute of Chicago, Mrs. Thorne imitated the carvings and plasterwork around the fireplace, doors, and windows and on the cornice and shutters of the Hammond-Harwood House dining room. She then had miniature copies ofMaryland furniture from the Federal period made to fill the room. While a few important features of our dining room (the jib door, for example) are missing from the miniature room, it is still a tribute to the influence William Buckland’s design continued to have many years after his death. Enter your email address to follow the Hammond-Harwood House blog and receive notifications of new posts by email.